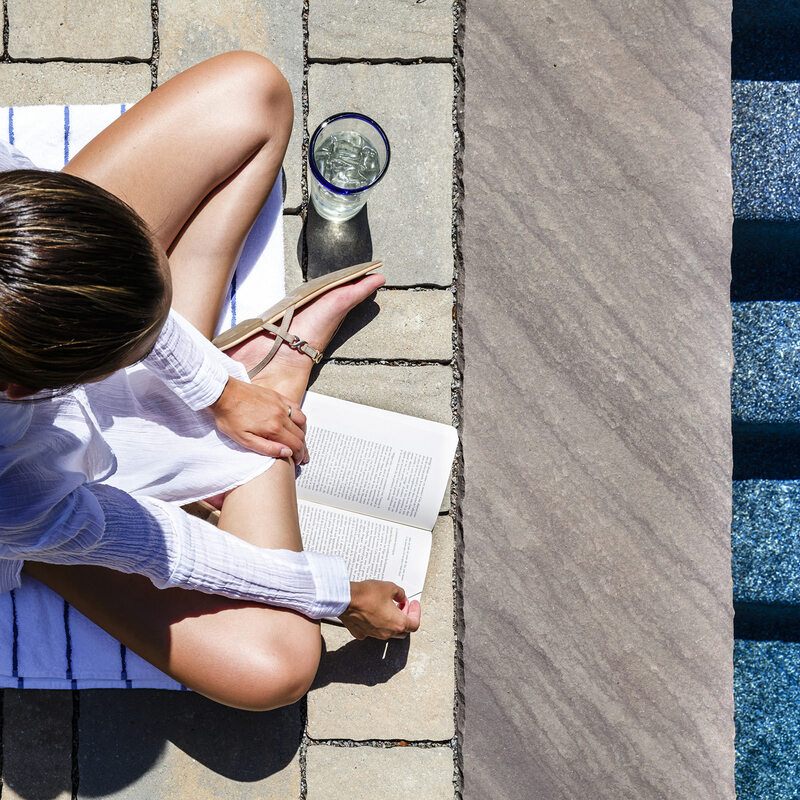 Have you been searching high and low for a material to use in your outdoor living space that would spark conversation or have your guests want to reach out to touch, to see what it is? 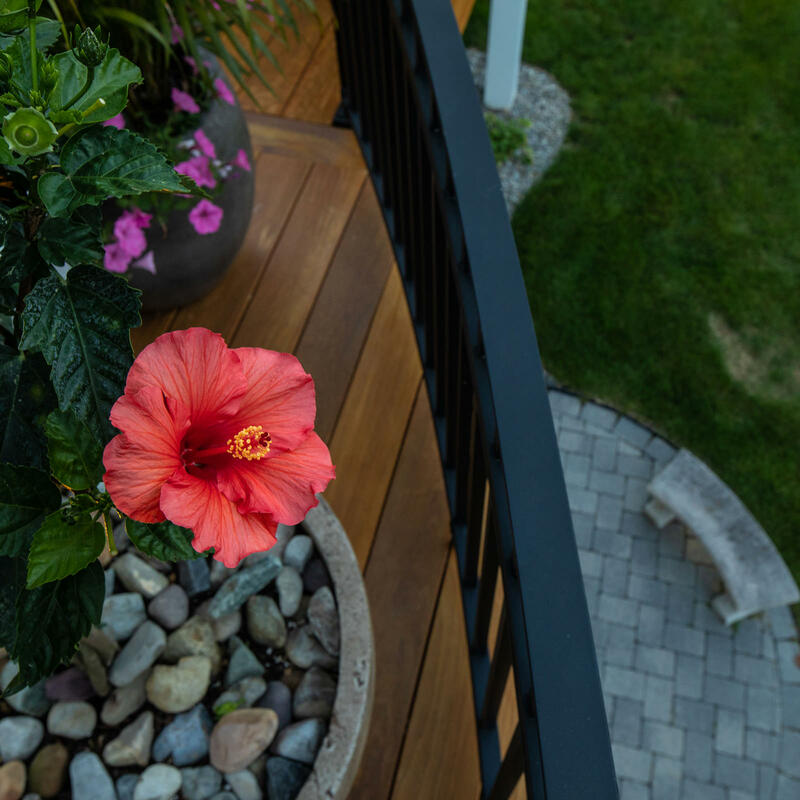 While outdoor features are usually the topic of conversation, you can now wow your friends and family with a material not often used in residential situations, corten steel. Trademarked as Cor-Ten, commonly referred to as weathered or corten steel, is steel that has an alloy application which creates a surface layer of rust. This oxidized surface eliminates the need to be painted or sealed, forming a stable and rust-like appearance resistant to deeper atmospheric corrosion. Chances are you have seen corten steel before, because it is commonly used in commercial settings like bridges, building facades and art installations. However, this material is finding its way into the residential landscape, and in a beautiful and functional way. Landscape designers appreciate this material for several reasons. After the initial investment, corten steel saves time and money in regards to rust prevention within outdoor living spaces. Most homeowners do everything they can to avoid rusting, but this material welcomes it with open arms…set it and forget it! 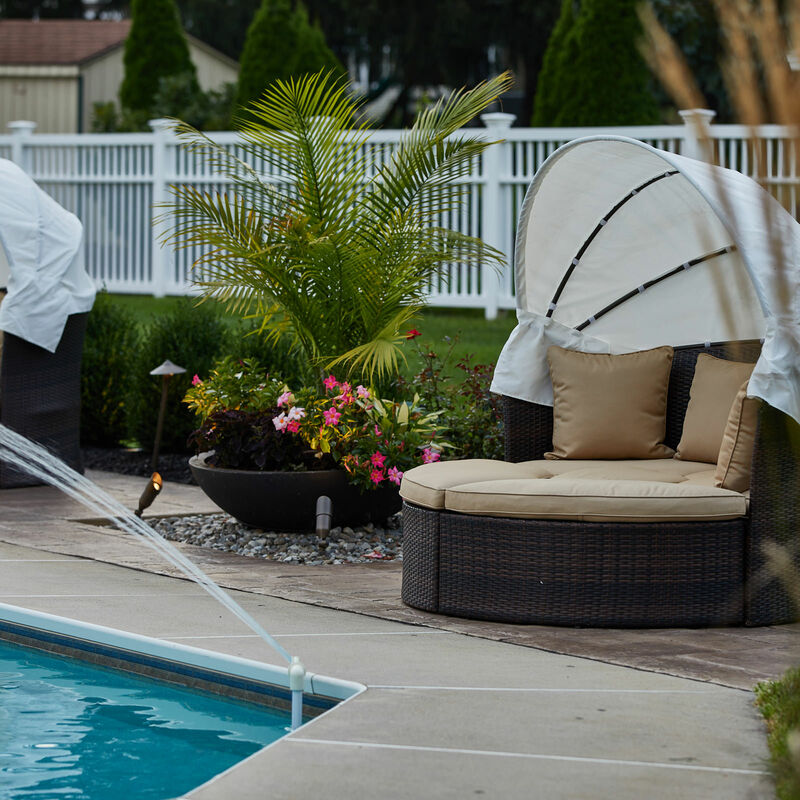 In regards to design, the strength and durability combined with its minimal thickness results in flexible yet elegant solutions for outdoor features. The hue of the weathered material produces a concentrated warm and rich brown – red – orange color, which easily blends and compliments the landscape, yet creating an identity for itself. So how can this material be used in residential applications? Good question, because the possibilities are almost endless. Corten steel can be used for both functional and ornamental applications. This material is strong and versatile enough to be used to create retaining walls, raised garden beds, planters, fire pits…the list goes on! Designers opt to use corten steel in landscape features like retaining walls because of its textural interest and the natural patina of the steel resembles natural elements like soil and dirt. Using corten steel in a wall application saves significant space in the landscape with its thin profile, which is a trait that concrete or full-profile stone just can’t compete with. Ornamental applications can be constructed however you and your designer see fit! 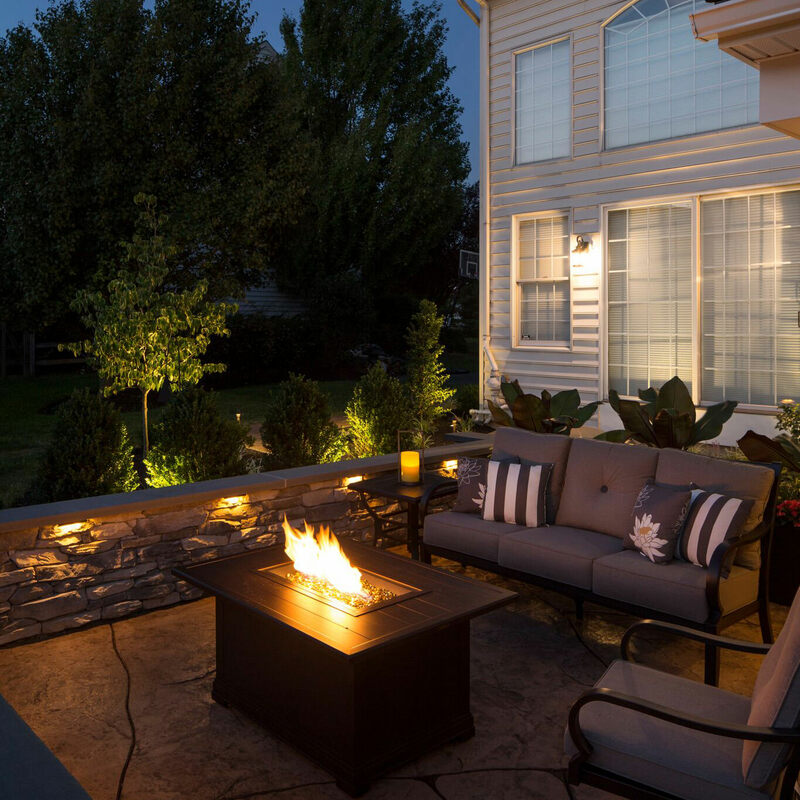 Focal point backsplashes for outdoor kitchen areas, water features, walled backdrops behind a fire pit’s dancing flames, accent walls in front of tall feather grass, this material can be used to heighten any area in the landscape that lacks interest, ultimately creating its own visual atmosphere. Even though this material has virtually no maintenance and has a lifespan of the ages, it is not completely flawless. 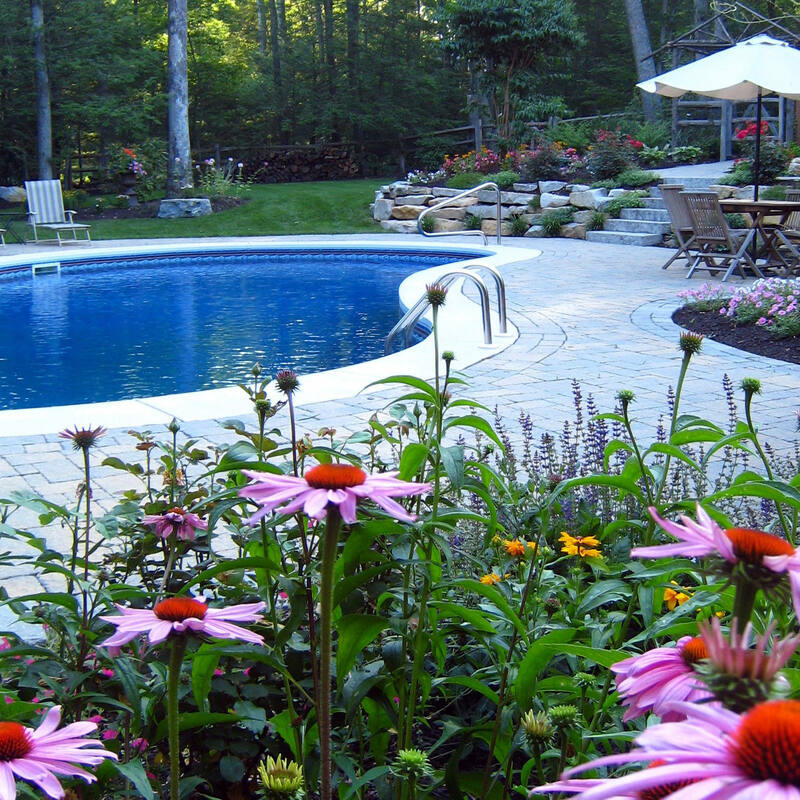 Before the steel is installed, your landscape designer should pay attention to make sure the patina process has finished oxidation. If the steel is installed in open-air, exposed to the elements, it could potentially stain the surfaces directly underneath or around it. For example, if the corten steel is used as a perimeter fence with an entrance gate, chances are the concrete below the gate could have rust stains down the road. 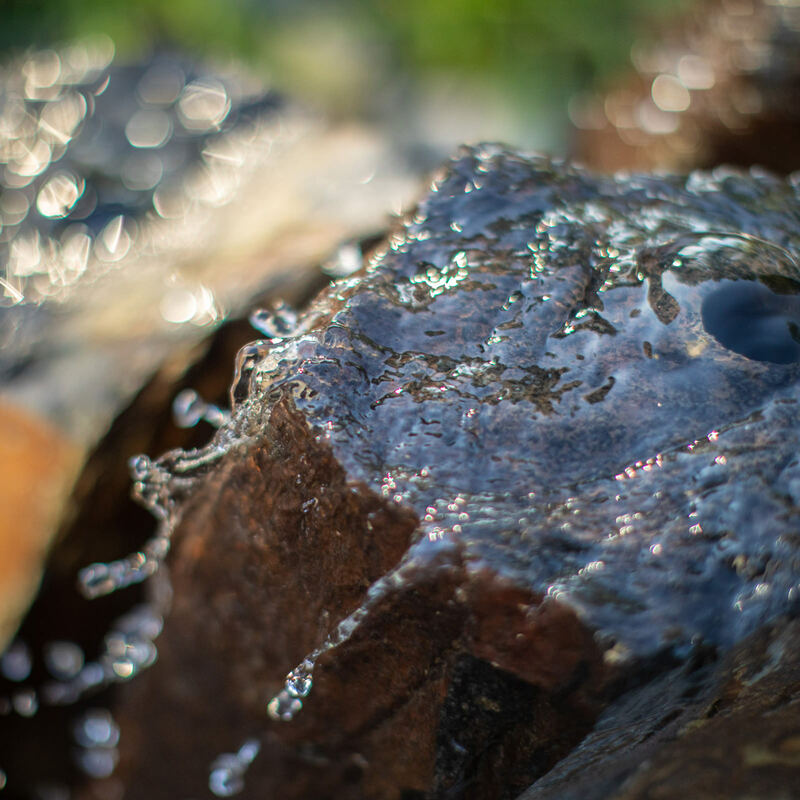 However, used in a covered outdoor situation like a feature wall underneath a patio pavilion, it is not directly affected by rain and snow, so the fear of run off is minimal. If applied and installed properly, this outdoor design material is economical, durable, low maintenance and stunning; deserving of a chance in the spotlight. 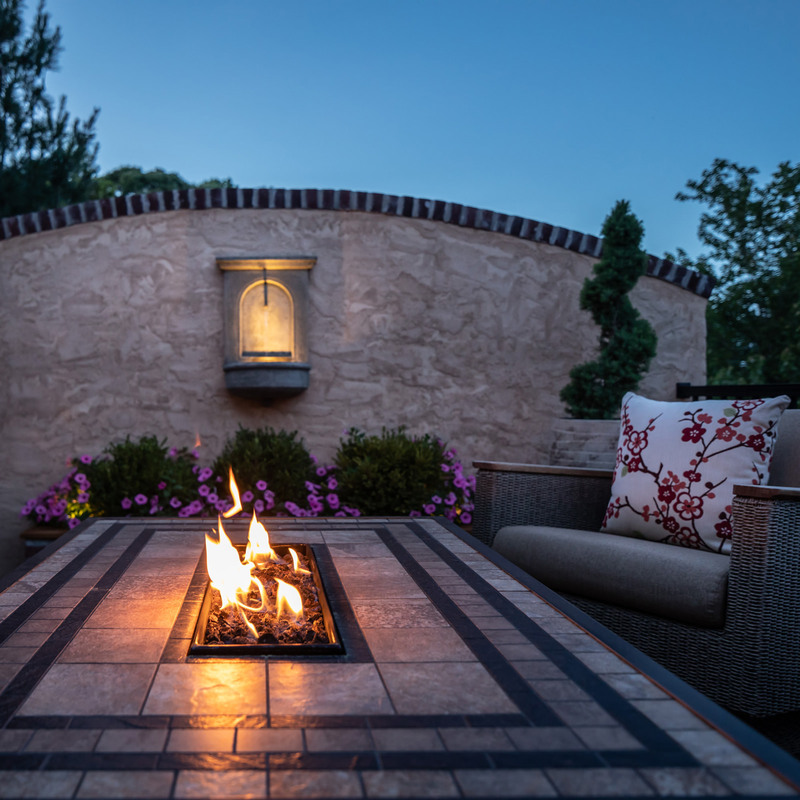 Corten steel is appealing and will exude a high-end feel to your property, so talk to your landscape designer to open the conversation about installing in your outdoor living space. 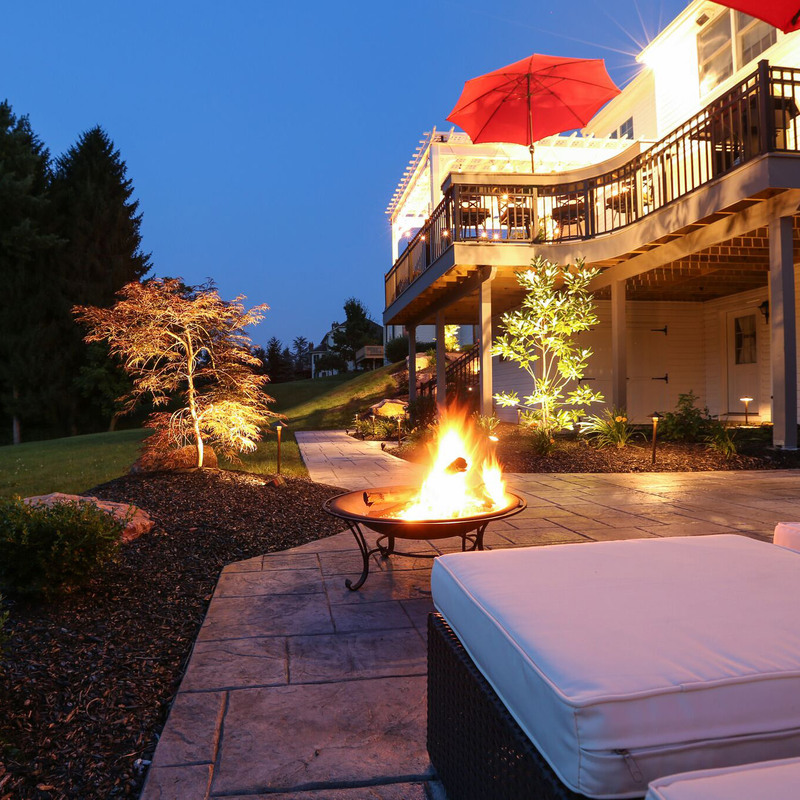 Serving the Poconos, the Lehigh Valley and through the Main Line of Philadelphia, MasterPLAN Outdoor Living would love to chat about the full potential of your property! 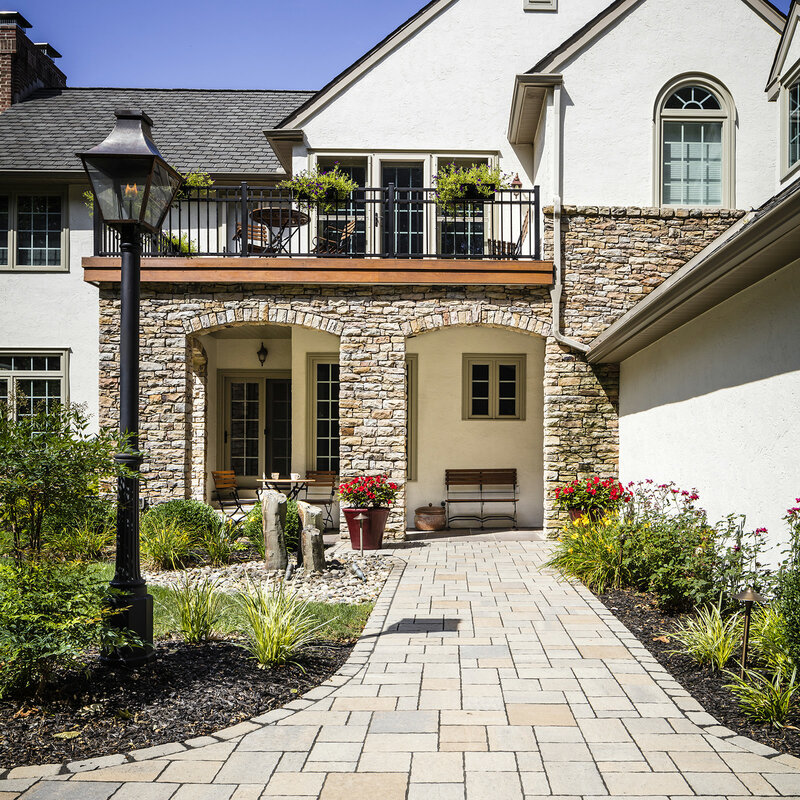 Using timeless design and cutting edge materials, let us show you how we can set your property apart from the rest. 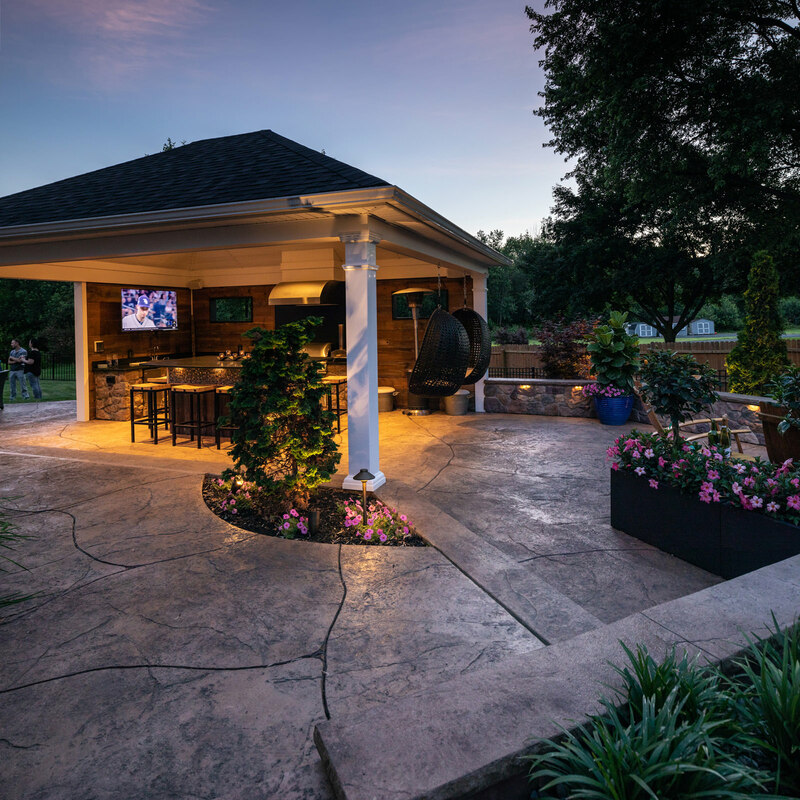 Custom backyard transformations are our passion; reach out to MasterPLAN to discuss the possibilities for your outdoor living spaces!